Muncie, IN—As you know, the Innovation Connector has been the home to many startup businesses and organizations in the Muncie community. Mark Slusher’s company, Endpoint Creative, is one of them. The company specializes in digital video production, visual marketing, and high-end live video streaming. Slusher was born and raised in Delaware County and attended Delta High School. “I like Delaware County,” he said. “There are a lot of great things happening here.” An avid community volunteer, Slusher received the 2010 VIVA award for his volunteer work in emergency management. Slusher has been affiliated with the American Red Cross for over 25 years, doing PR work and video productions. He often travels the country for the American Red Cross during large-scale disasters and relief efforts. After running his business out of his home for a number of years, Slusher decided he needed to make a change to help grow his business. After some research, Slusher found the Innovation Connector. 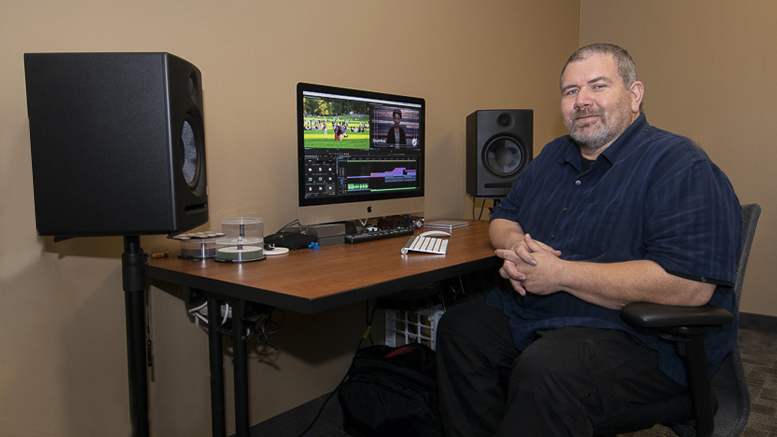 Slusher feels the Innovation Connector is really a “hub.” “I get connected with many of my Innovation Connector neighbors whose services I may need from time-to-time,” he said. These days, most of us have smartphones, and with a simple push of a button, we can stream our own videos live on Facebook. However, for some, the result is often jittery video, (perhaps even upside down video) with lower quality audio. Slusher’s proficiency takes the technical capabilities of live-streaming to an entire other professional level. His videos can include titles, Powerpoint™ slides, and ancillary videos during his live video-streaming broadcasts. Plus, Slusher has the ability to password-protect and encrypt his streaming videos for private audiences around the globe. For many corporations who need to do employee training or provide global communication to their teams, Slusher’s live streams are an economical method of communications. 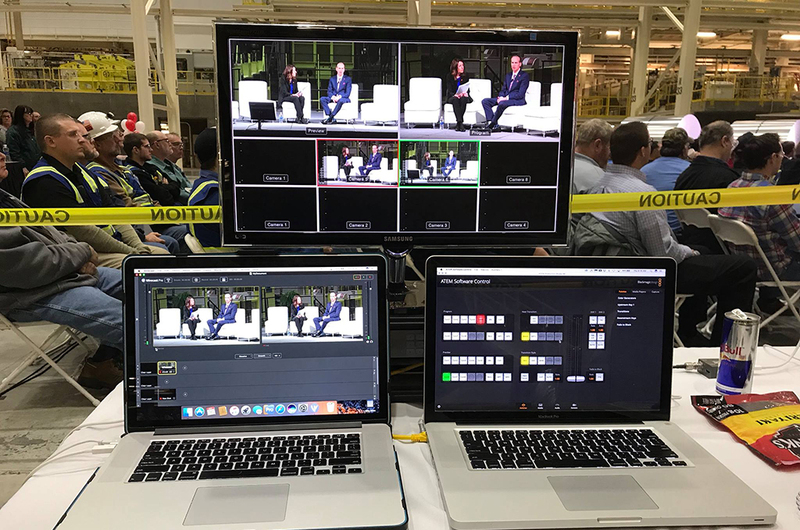 “On a corporate level, it is much, much less expensive to live stream information rather than flying people in from all over the country, especially when employees can often be located across the globe,” Slusher said. By locating his business at the Innovation Connector, Slusher enjoys being able to work alongside like-minded people. He feels that being in a professional environment, surrounded by people who have the same goal—to build and grow their businesses— has been very beneficial to his business. “There’s a certain amount of inertia you get from working and connecting with people here,” he said. For more information on the Innovation Connector’s services, contact Alexis Dishman at: akdishman@innovationconnector.com or call 765.285.4900.